In 1996, I created the official "Australian" site for the Australian Windsurfing Association (www.windsurfing.org). The site is kept up-to-date with information provided by State associations. The House Inspect site was first created in 1999. A make-over was carried out in 2007 when the business changed ownership. 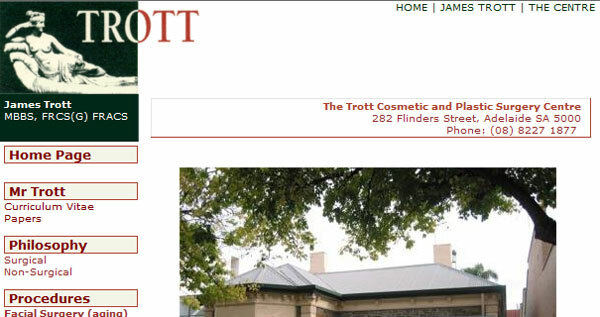 The website for The Trott Cosmetic and Plastic Surgery Centre was created in 2000.